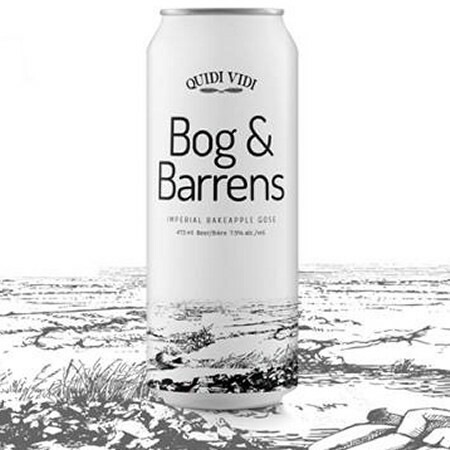 The Bogs & Barrens series will be launching later this month with the release of three beers developed together with Jeremy Charles and Jeremy Bonia of Raymonds Restaurant and The Merchant Tavern. The trio of ales – Imperial Bake Apple Gose, Pineapple Weed NE IPA, Smoked Alderberry Porter – were brewed using ingredients foraged throughout Newfoundland and Labrador. The beers will make their debut at Raymonds on November 27th, where they will be served with a five-course dinner featuring locally sourced wild game. They will also be available as part of a special tasting menu at The Merchant Tavern on November 28th to 30th. While the IPA and Porter will be exclusive to the two restaurants, a limited amount of the Imperial Bake Apple Gose will be available in cans at the brewery and select stores starting Thursday November 29th while supplies last. For more details, and to purchase tickets to the Raymonds dinner or reserve a table at the Merchant Tavern, see the Facebook event listing.